Rain and Art- What Could Be More Romantic? Date Night in D.C. with M & T! 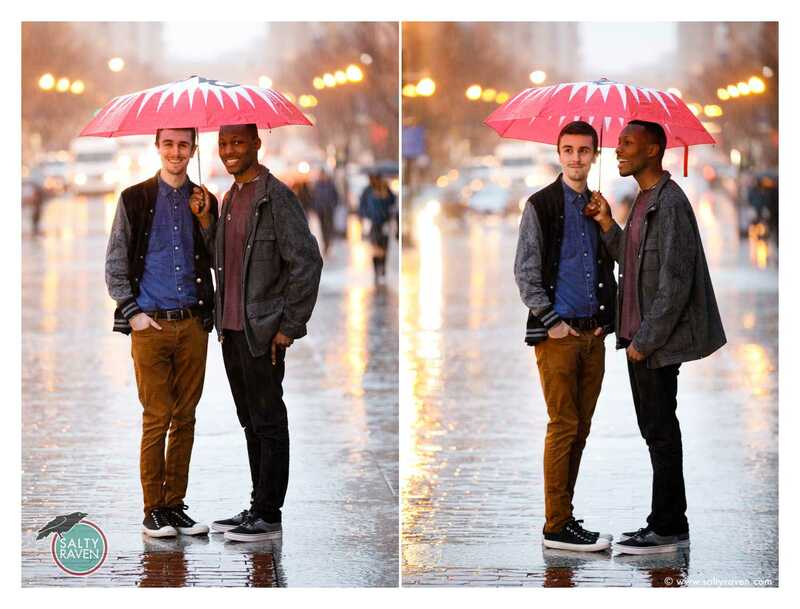 We laughed, we got drenched, we laughed some more….this date night session with M & T when I was visiting D.C. was so much fun! I loooove bokeh (the soft, circular orbs you see in the background of these umbrella shots), and the wet streets and reflections made the whole scene so dreamy. Never mind that I was dripping- it was worth it, and conditions like these are why professional gear is weather-proofed. After shaking off, we soaked up some art in perhaps my favorite art museum in D.C. 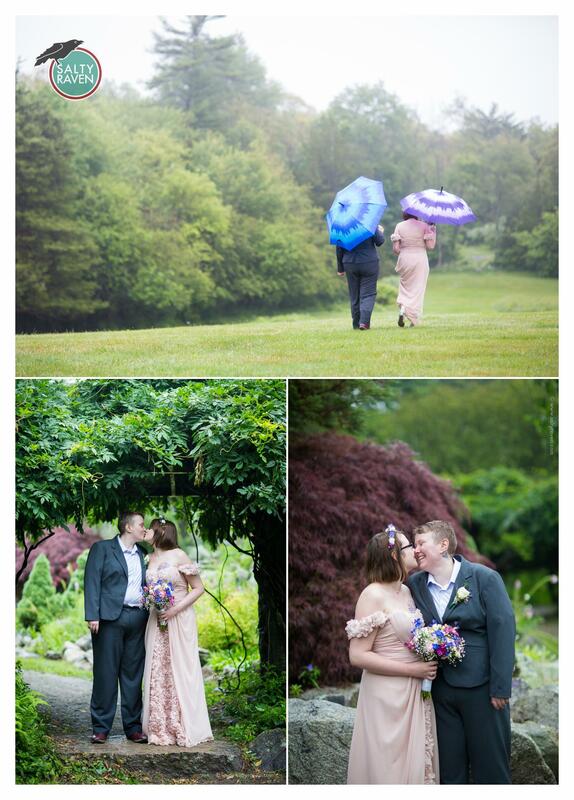 Thanks so much, M & T for battling horrid traffic and rain to get to our session. I enjoyed meeting you and would love to have Act II in Baltimore the next time I’m down! 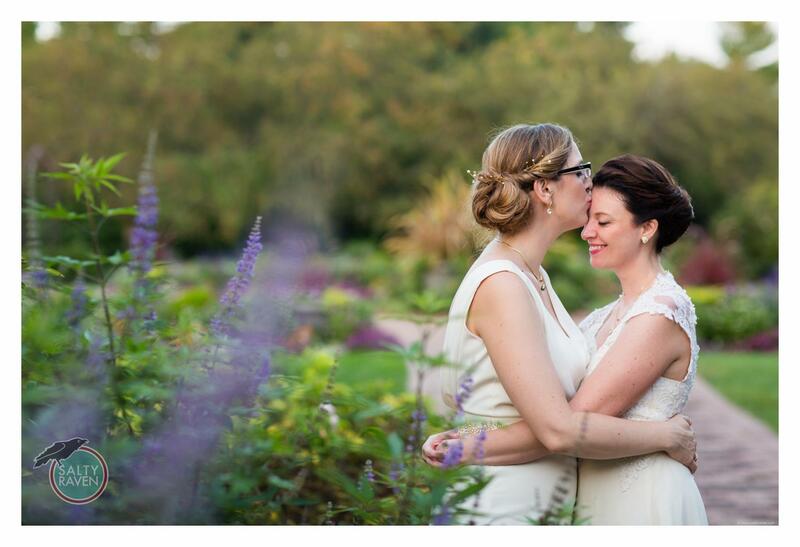 Abbey & Natalie’s wedding at Olbrich Botanical Gardens was simply magical- just look at how they glowed! And the gardens! They were like nothing I had ever seen- with every direction you turned, different botanical textures, colors, and patterns would lead your eye to the next gorgeous backdrop. I was absolutely giddy with the options, and because they chose to do a first look (a fabulous choice), we were able to explore the gardens a bit before the ceremony. The day started out *very* wet, but by late afternoon, the skies cleared, and everything was shiny and fresh for the ceremony to be held outside. 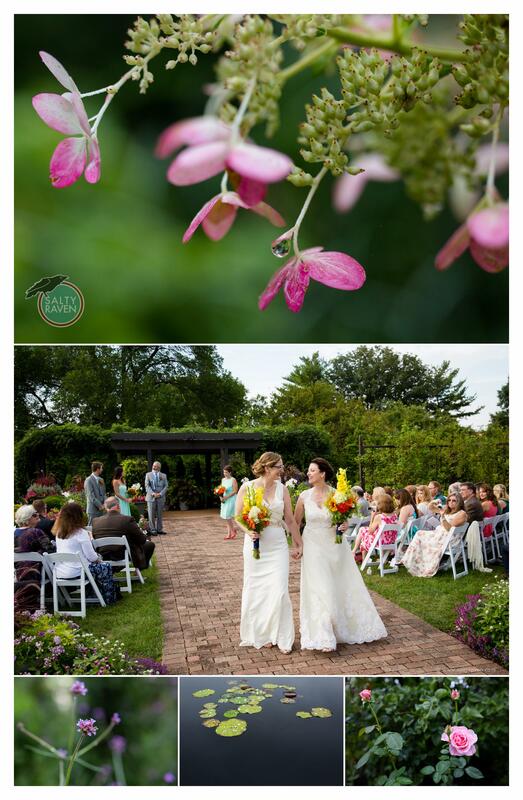 Along with the stunning garden setting, I also loved how involved their families and friends were in the wedding. -That gorgeous ivory dress that Natalie wore with the lace on the top? It was Natalie’s mom’s wedding dress, and Abbey’s mom, a talented seamstress, modified it. Check out the before and after picture to see the remarkable transformation! 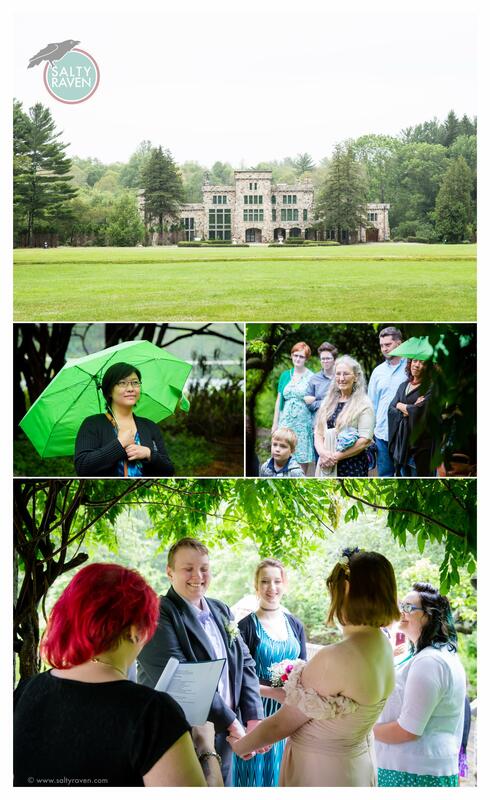 -The officiant was Abbey’s father (and he did a fantastic job!). -The talented make-up artist was a close friend from college, the chauffeur was a brother, the day-of-coordinator was a sister, the DJ was a former roommate and friend…. …and they all knew exactly where to be and when using remarkably thorough Excel spreadsheets that the couple put together. My favorite spreadsheet title was “The Stuff and Who’s In Charge.” I wish I had been half as organized when I planned my own wedding! 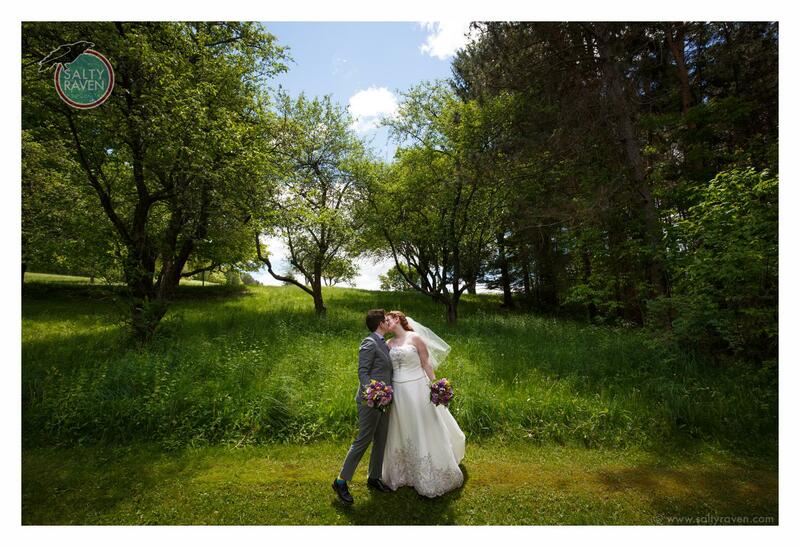 Congratulations you two, and thank you so much for choosing Salty Raven to photograph your wedding; I loved getting to know you and your guests, and I hope to return to Madison someday very soon. A Sunny State Park Wedding! You know that thing about catching the bouquet at a wedding…. I met Tori & Bridget two summers ago when I was the photographer at their friends’ wedding, and I will not forget the level of excitement in the crowd when Tori caught the bouquet. Fast forward a year, and the light at sunset during their Adventure Session was unreal (see it here!). Skip ahead one more year to their wedding day, and I couldn’t believe it when they had another sunset that was just wild. Stunning light plus their chemistry led to perhaps the most romantic series of photos I’ve ever taken of a couple at their wedding. -How totally apparent it was that Tori & Bridget were in the moment on their wedding day, enjoying each other and their guests fully. So Tori’s earrings wouldn’t cooperate- so what. She didn’t care! So it was too windy to light the candles on the tables- not a big deal at all. I could tell how much they adored their family and friends and how much it meant to them to be wrapped up in love- even literally when they were gifted a gorgeous handmade quilt inspired by the clothing they wore for their Adventure Session. It’s the one in the sunset photos, and it will be treasured always no doubt. -The generations of guests present, from grandparents to little babes in arms. The state park pavilion was next to a playground, so the kids were over the moon. They’re going to think all weddings involve swings! -The food was AMAZING. It was an all vegetarian buffet, and even the most meat-and-potatoes focused guests were going back for seconds. -The ceremony was so touching. The celebrant knew Bridget from college days when she and Tori first met, and the personal and powerful sermon she delivered was the best I’ve ever heard. A friend sang Ave Maria, and her voice gave me chills. Many a tear was wiped as her voice soared. I could go on and on, but I’m so thankful to have first met Journey and Amy who then led me to Tori and Bridget. First, a few of my favorites followed in storytelling fashion from getting ready to getting down on the dance floor! 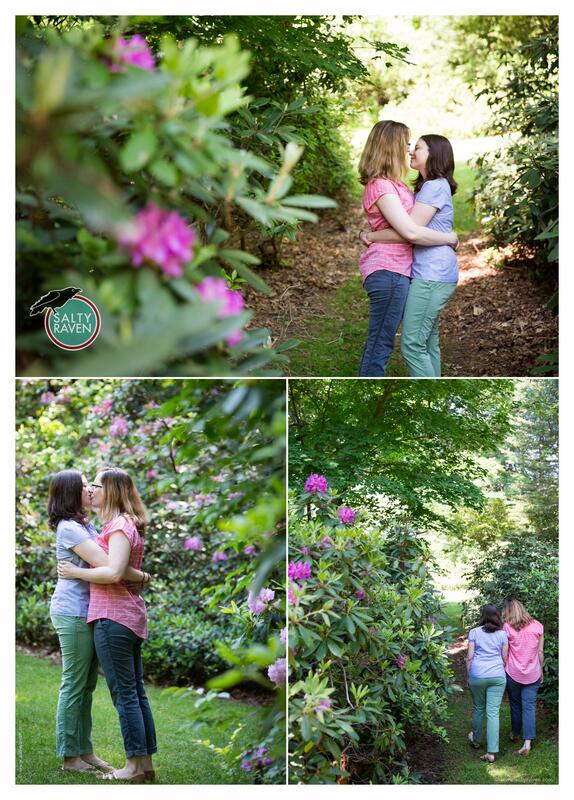 And now to the beginning where Tori and Bridget got ready in the state park’s adorable cabins…. I love this moment caught just before the ceremony started. “You’re going to need some tissues for this one,” is what I’m imagining him saying. The photo below is special to me for a couple of reasons- Tori & Bridget were listening to the readings, and I noticed that a sliver between the pews framed their clasped hands. The lines from the shadows and carvings lead your eye to their hands, but then there’s another layer to it- Tori’s parents were married in the same church, so the pews have family history as well. Months ago I received an email out of the blue from a woman asking for help identifying a shirt pattern. She explained that she was making Tori and Bridget a wedding quilt inspired by the clothing they wore for their Adventure Session! She had found a checkered fabric to match Tori’s dress already, but the pattern on Bridget’s shirt was a little too tricky to discern. I asked her to please let me photograph them opening the quilt because I knew it would be super special, and wow. It totally was. Wellesley, Wellesley, only to be there…. Abbey graduated from my alma mater, Wellesley College, and luckily this summer she returned for her 5 year reunion so we were able to meet in person despite the fact that she and Natalie live in Wisconsin! Wellesley’s campus, as always, was gorgeous, and we snuck in a few photos on our stroll together while getting to know each other. 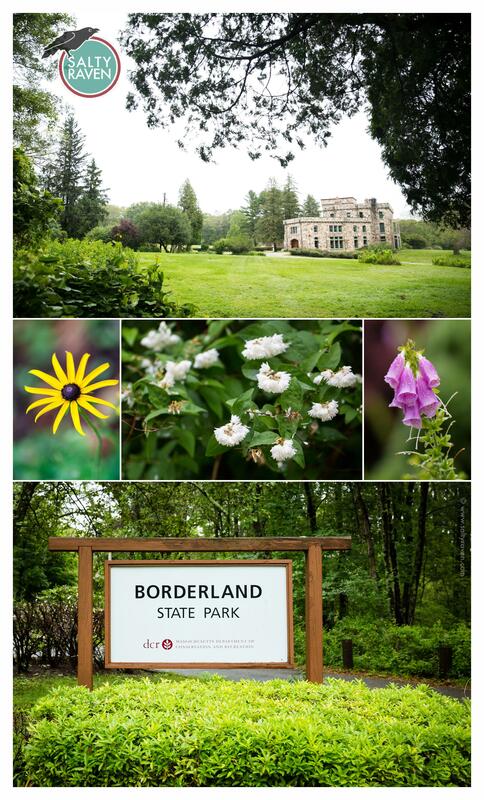 The rhododendrons were in full bloom in the arboretum, Natalie laughed at Paramecium Pond’s name, and we ended near the Tower Court dorms in front of the only remaining columns left standing after the 1914 College Hall fire. I had a blast, and I’m so excited to see you two again this August for your Wisconsin wedding! Journey and Amy’s wedding day at Borderland State Park was WET. Like, the kind of wet where your shoes fill up with rainwater from a squishy lawn and start making funny squeaking noises. But what I remember most about their wedding day is not the misty air (although it made for really romantic portraits!). Instead, I remember the warmth radiating out from Journey and Amy. They simply glowed in that summer sunshine way. And what a merry band of close family and friends materialized out of the fog! I knew I would have a blast when toddlers appeared clutching dinosaurs, newlywed Wellesley College alumni guests arrived (my alma mater), and their dear loved ones jumped right in helping to set up the reception space and making the cement porch attached to the mansion feel homey with bold pillows, bright tablecloths, and cheery flowers provided by the herb farm where Journey’s mother works. 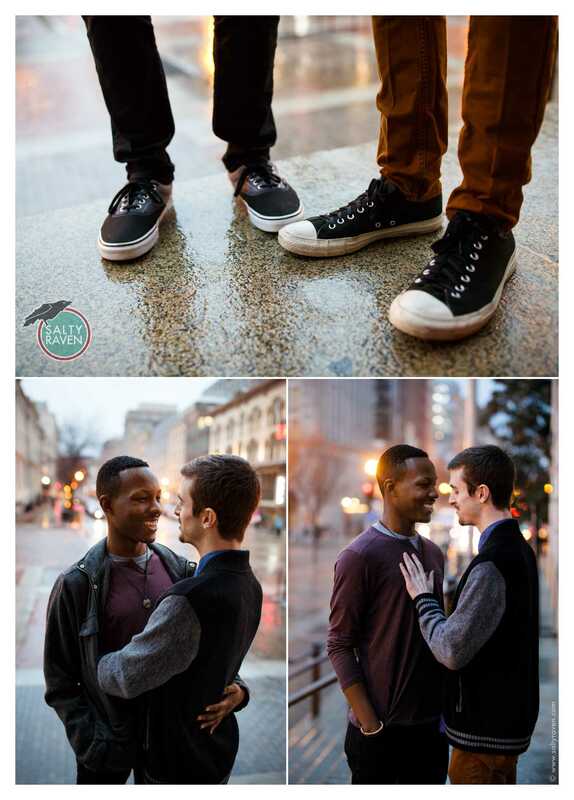 Isn’t it so obvious when looking at their photos how enamored they are of each other? Congratulations on your first anniversary, and I’m so glad I was able to photograph your wedding! P.S. The guests who caught the bouquet are getting married next summer, and I’ll be their photographer too! 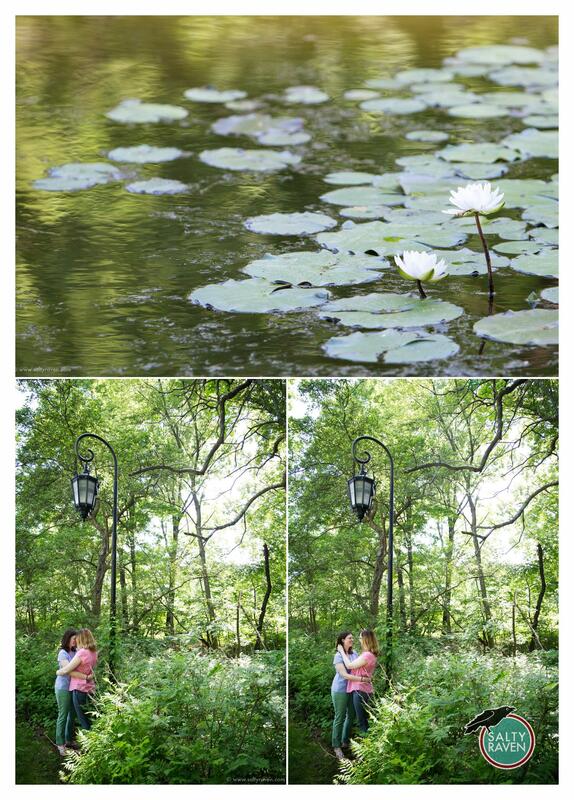 See their engagement session in the Berkshires here! 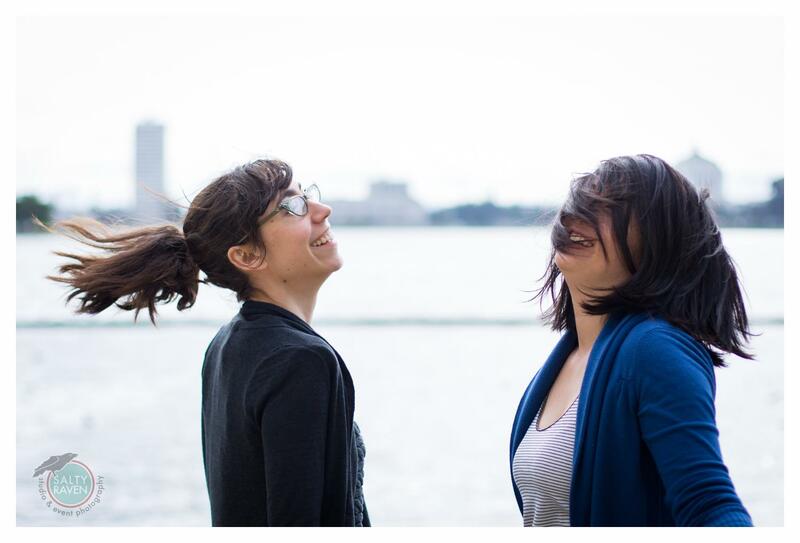 I had an absolute blast with Tori and Bridget a few weeks ago in the Berkshires! 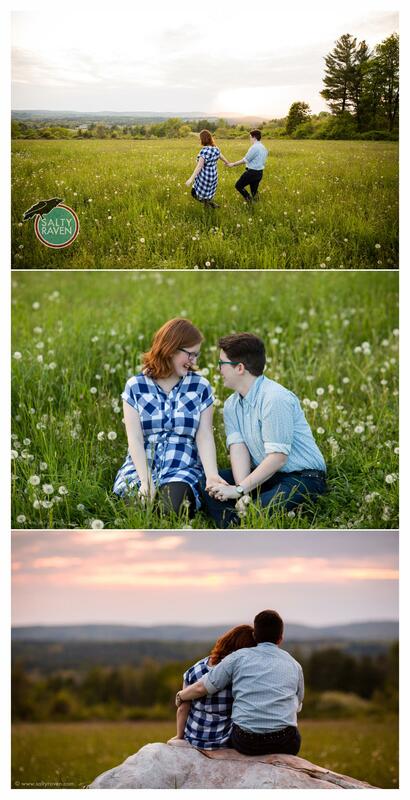 I call my engagement sessions “Adventure Together Sessions” because I like to accompany couples while they do something they love; we get to know each other, and the session is relaxed and full of laughter and movement instead of awkward posing. 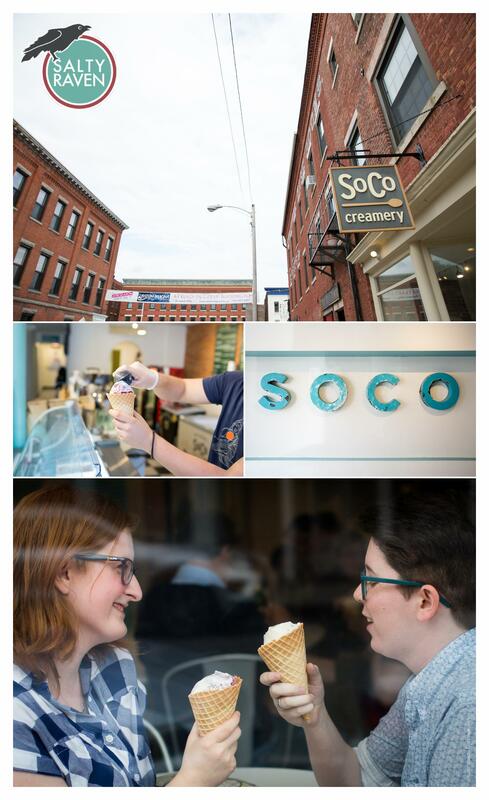 One of Tori and Bridget’s first dates was in an arboretum, so after they enjoyed yummy ice cream at SoCo Creamery in charming downtown Great Barrington, we set out for a walk at Pfeiffer Arboretum. The path was certainly not a well traveled one (abundant poison ivy kept us alert, and the pond at the end was viewed from a dilapidated, sinking overlook- we noticed the caution tape only after we turned back…), but the light coming in through the trees was so sweet, and listening to Tori recite a poem about poison ivy that she had written when she was a young girl was amazing! After our hike, we ventured to a field overlooking the Berkshire Mountains, and the light was *magical. * I could have stayed there for hours with the two of them listening to them banter and laugh together. I’m looking forward to spending more time with them next year at their wedding in Upstate New York! 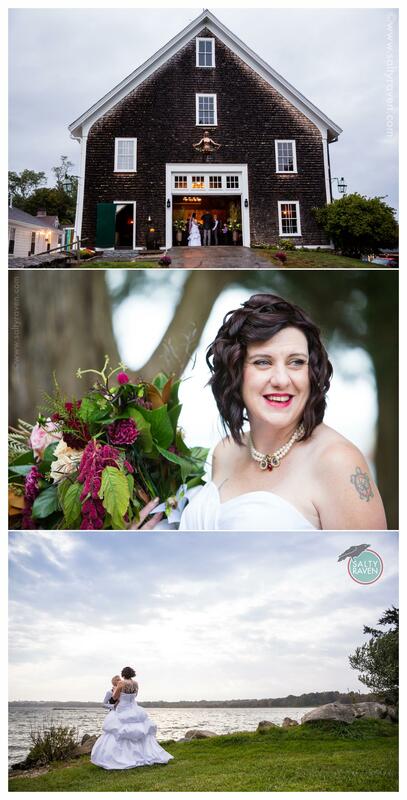 I had the pleasure of second shooting for the super talented Ali of Ali Rosa Photography this past fall for the wedding of two fashionable, foodie, and vinyl-record-loving brides in Rhode Island. I adore second shooting because I find it so exciting and energizing to look for second angles to photograph over the course of the wedding. Take this first image, for example, of the brides during their first dance. 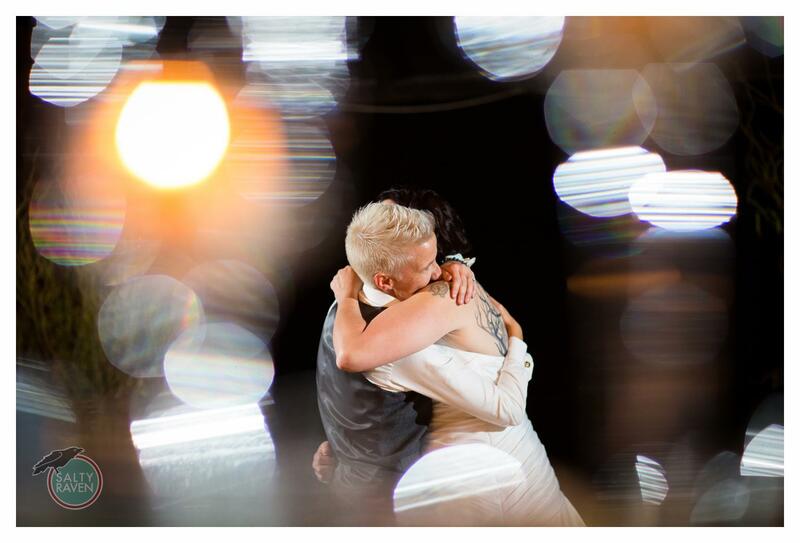 I crouched down low behind a table, framed the couple with two glasses of water, and used my fastest lens to open up the aperture wiiiiide to create the gorgeous and romantic orbs of light circling them as they danced…. I love the results! Sometimes, a wedding is so deeply heartfelt that it’s difficult for me to choose which photos best convey the love surrounding a couple for those not there in person to witness it. 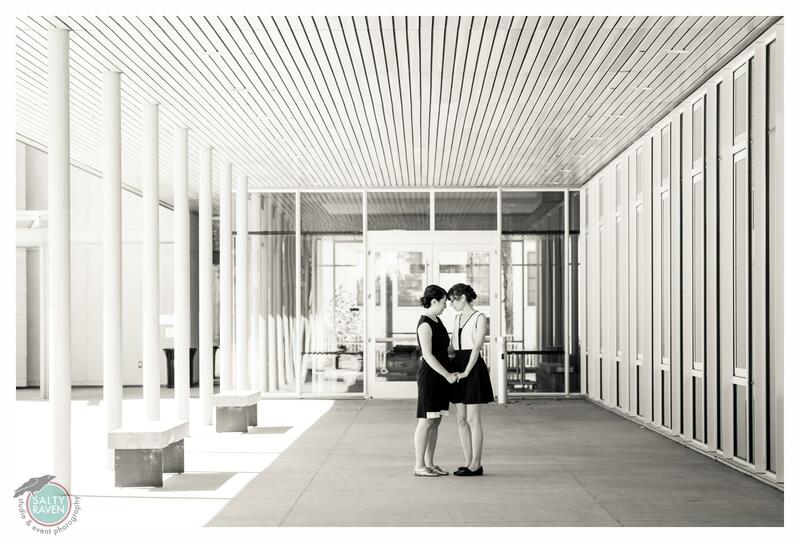 Sarah and Jenny’s beautiful wedding ceremony on the Mills College Campus in Oakland, CA followed Quaker tradition; there was no fanfare or giving away of the brides, and no officiant. 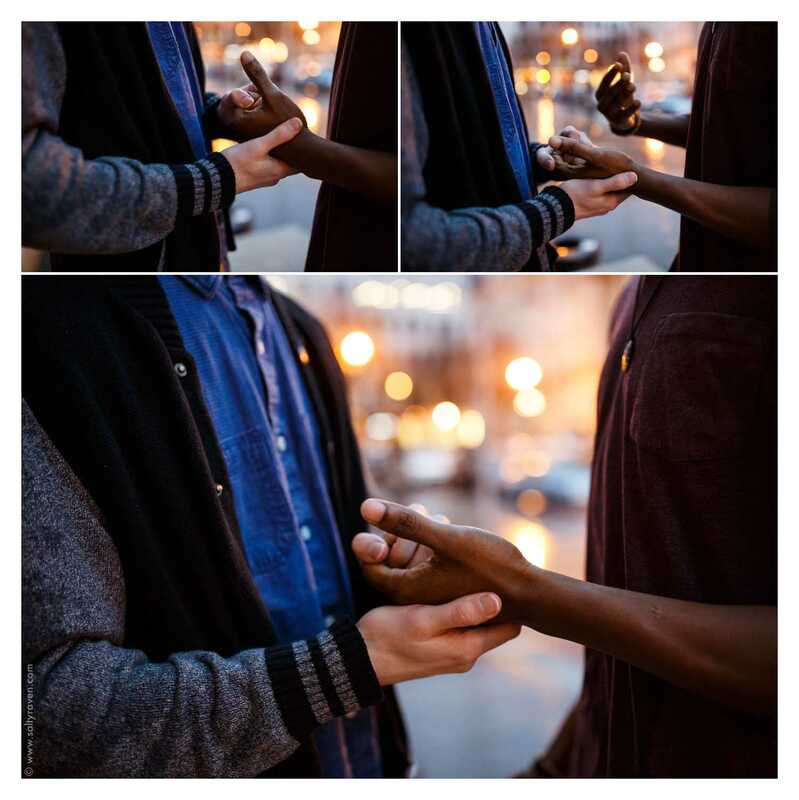 Instead, they walked together into the chapel, and their friends and family members sat in contemplative silence before rising one after another to testify to the strength of the couple’s relationship. 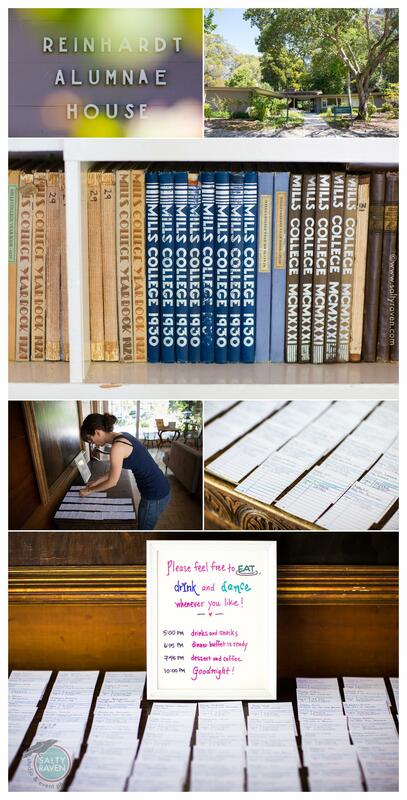 The Mills College Chapel is in the round, and believe me, the love indeed circled them! To make the day even more awesome, add in book-themed decor (both Sarah and Jenny are librarians! ), a reception in the Reinhardt Alumnae House where past Mills College presidents looked on as Jenny’s talented cousin Mindy, a professional hair and makeup artist, helped them get ready, and the Spanish and modern architecture mash-up that is the Mills College campus. 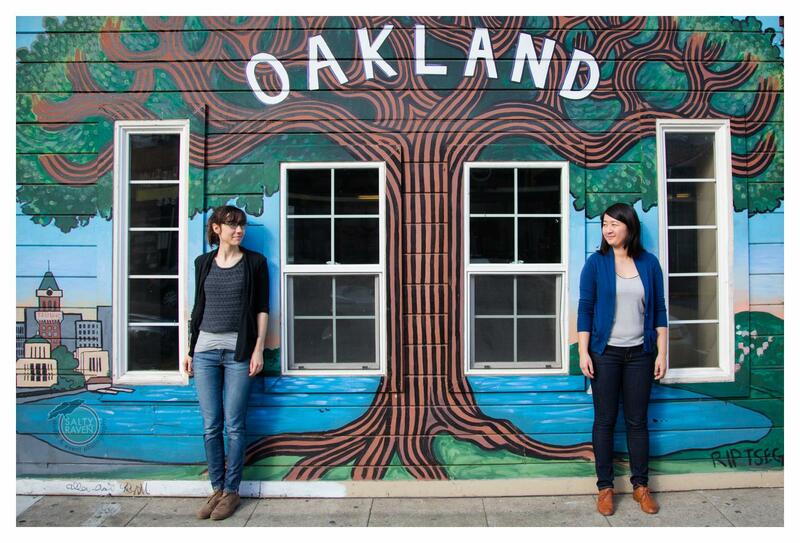 (Goodness, did I have fun during the portrait session with Sarah and Jenny!) And Portabella Mushroom Banh Mi- YUM! 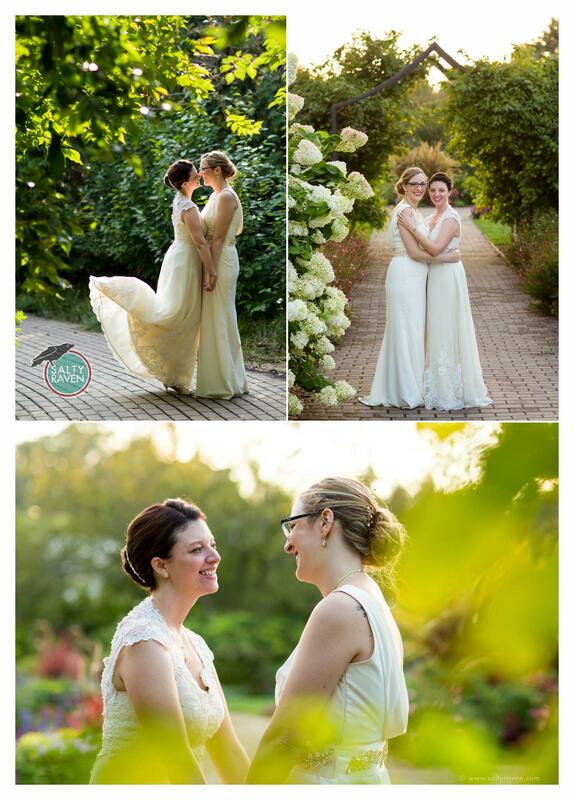 I feel so honored and lucky that I was able to fly to Oakland to photograph Sarah and Jenny’s wedding! Friend referrals are THE BEST! Who can endure driving through hours of stop-and-go traffic while an infant screams at the top of her lungs and still remain kind, cool, and generous? A real keeper, that’s who! The backstory: in 2009, I photographed the wedding of a college friend in New England, and Sarah was a bridesmaid in the wedding. My then 3 month old daughter was too young to leave at home with Dad (we lived in New Mexico at the time), so she and a friend/baby wrangler came along for the adventure. Sarah had just begun dating Jenny, and they were adorable together! I clearly remember them stealing glances of each other over the breakfast table at the inn where we all stayed. After the wedding weekend was over, Jenny offered me a ride to the airport, and what a ride it was! My daughter’s hair-splitting screams were relentless, but Jenny and Sarah were nothing but kind to me. Fast forward 3ish years, and I received the kind of e-mail that makes a photographer dance around the house with giddiness: “Ever since Sara and Devin’s wedding I’ve been waiting to send you an email like this! 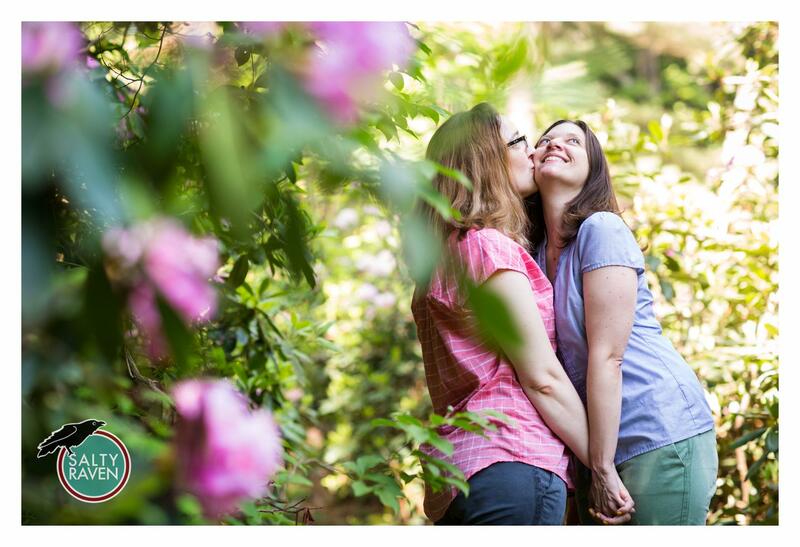 Jenny and I just looked over your website again and we loved what we saw.” Seriously, getting inquiries from guests of past weddings I’ve photographed is the best, and I was thrilled that it worked out for me to be their photographer (and fly out to Oakland sans kiddos this time!). 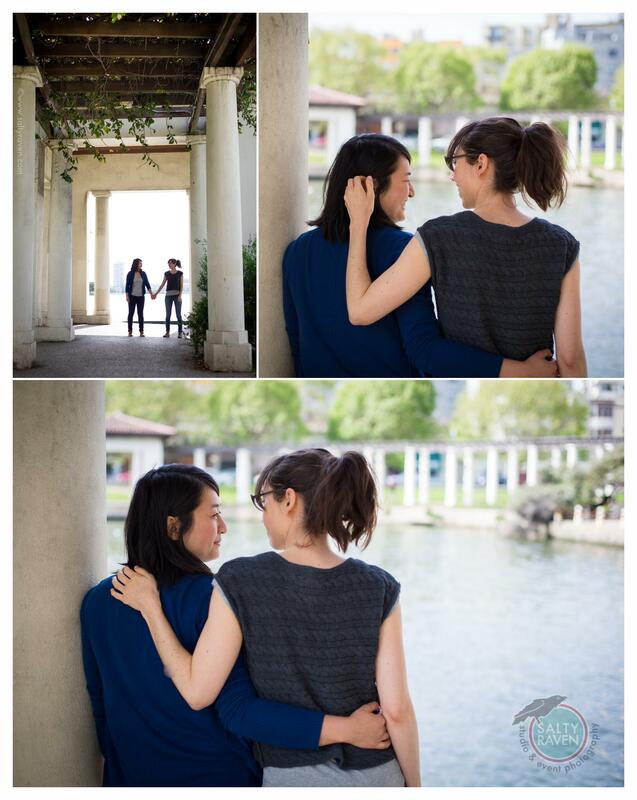 For Sarah and Jenny’s engagement session we visited two fantastic locations in Oakland that they enjoy often as a couple: Oakland’s Lake Merritt, and a nearby cozy spice shop, Oaktown Spice Shop. Notice how they still, years later, like to steal glances of each other!